Their mission; to play Hard Rock the way it´s supposed to be played: True to it´s roots in the electric blues and early R´n´B. In October 2007 BONAFIDE released their debut, simply titled “Bonafide”. Immediately they became quite busy playing the Scandinavian club and festival circuit, and supporting bands such as Deep Purple, Europe, Status Quo, Y&T, LA Guns, The Quireboys and countless of others in arenas and theaters. In January 2009 BONAFIDE locked themselves into Musicamatic studios in Gothenburg, Sweden with acclaimed producer Chips Kiesbye (The Hellacopters, The Nomads) and began to record their second full length album, titled “Something´s dripping”, released world wide through Black Lodge Records. When released it was BONAFIDE´s first properly distributed release outside of Scandinavia. The album raced to No 16 in the National Swedish Album chart,beating both Megadeth and Ace Frehley with whom they shared release date! In November 2009 BONAFIDE embarked on a six week, nine country, 35 + shows long tour of Europe in support of the new album, that saw the band play clubs and theater style venues to great response. Spring 2011 and European Tour number 2. This time in support of the EP “Fill your head with Rock – Old, New, Tried & True”, originally planned as a single to promote the song “Fill your head with rock” (also included on the “Something´s dripping” CD), but the band booked themselves into a Stockholm recording studio, laid down some of their own favourite tracks by Humble Pie, Rose Tattoo and The Who, threw in some video´s and leftovers from previous sessions, and Voila! 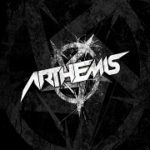 – an EP was born that raced to the number One slot on the Swedish Midprice chart! 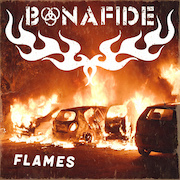 Early December 2011, BONAFIDE will make their UK debut. 10 shows are booked around the UK, including a show at the Hard Rock Hell V festival, and London´s Islington O2 Academy. 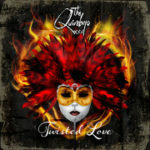 A third album is already written, and will be recorded straight after the UK jaunt for a spring 2012 release.